We share all the tools you need to order, discuss, sip, and savor France’s most famous brandy. Virtually all Cognacs are a blend of Brandies from different vintages, and frequently, different growing zones. Even those from single vineyards or distilleries will be a mix of Brandies from different casks. As in Champagne, the production of local vineyards is sold to Cognac houses, each of which stores and ages Cognacs from different suppliers and then employs master blenders to assemble these disparate Brandies to create continuity in the house blends. 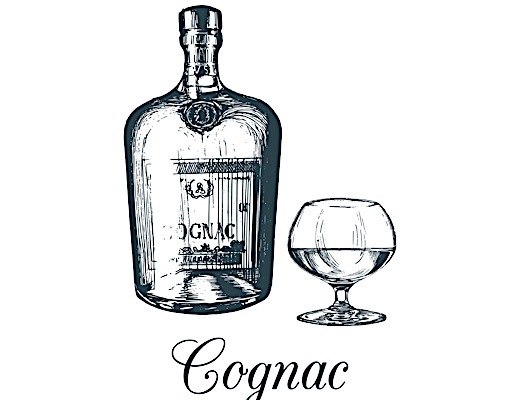 Because there are no age statements on Cognacs, the industry has adopted some generally accepted terms to differentiate products. The official quality grades are as follows: V.S. (Very Special) indicates a minimum of two years aging in a cask, although the industry average is four to five years; V.S.O.P. (Very Superior Old Pale) indicates a minimum of four years cask aging for the youngest Cognac in the blend, with the industry average being between 10 and 15 years; X.O. (Extra Old) or Napoleon indicates a blend in which the youngest brandy is at least six years old; Hors D'age is a designation which is equal to X.O. but is used as a marketing term and typically indicates high-quality products aged well beyond the official scale. We call these Luxury Cognacs. 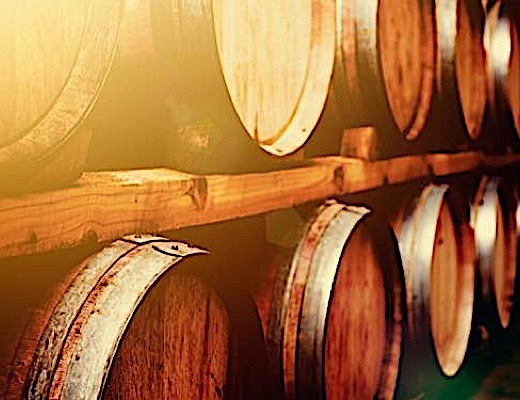 Now that you know the main categories of Cognac, you need to be able to talk about them! 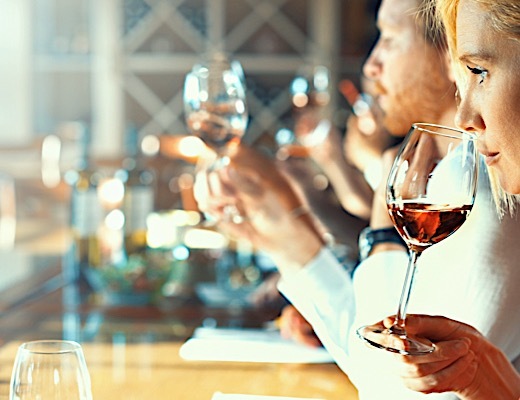 The French language can be tricky, but you won't be able to order or discuss Cognac without some basic phonetic tricks up your sleeve. Our Cognac category winner, the 97-point Drouet et Fils Paradis de Famille Hors d Age is not only an exceptional sipper, it also offers great pronunciation practice. Sound it out: DRU-ay ay fees pah-rah-DEE duh fah-MEE or dahj. Being able to describe the qualities that you like in a Cognac will help you to choose the best one for you. The shop, restaurant, or bar's employees can likely point you to the right Cognac for you with just a little info about your preferences. Look to our tasting notes for a little inspiration. Love rich Cognacs with nutty undertones? The hugely barrel influenced Olivier Blanc XO Extraordinaire might be the perfect pick for you. Prefer elegance over brawn? Try Courvoisier XO's subtle finesse with beautiful orange marmalade notes. 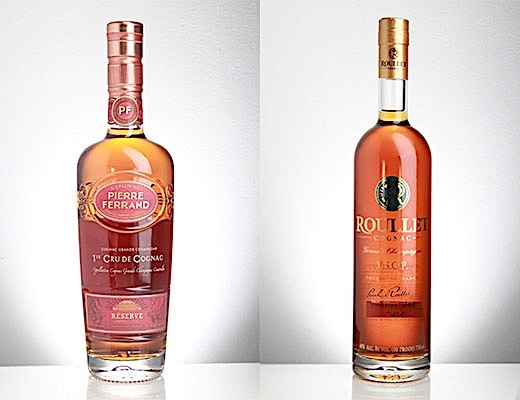 While many of the most opulent Cognacs have a price tag to match, you don't need to spend an arm and a leg to taste impeccable, world-class Cognac. Pierre Ferrand Reserve Double Cask is a complex, fruity experience like no other. It clocks in at just $79.99 but ranks among bottles that cost three times as much. Another incredible value is found in Roullet VSOP Grand Champagne Cognac. Our judges say it over-delivers for its category, and at just $39.99 it won't break the bank to find out for yourself. 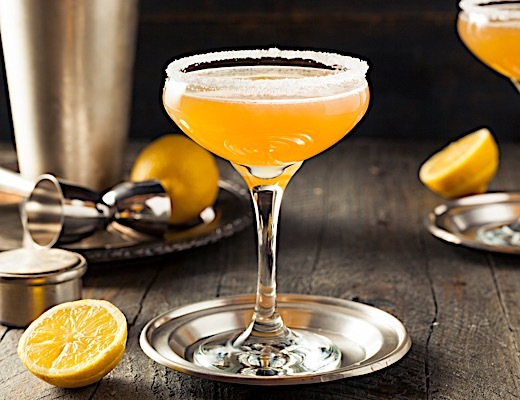 Shake all ingredients and strain into a sugar-rimmed cocktail glass. Cheers!